I have a Halifax account. How do I verify my business revenue? When you apply for an iwoca loan, we’ll usually need to verify your business revenue. 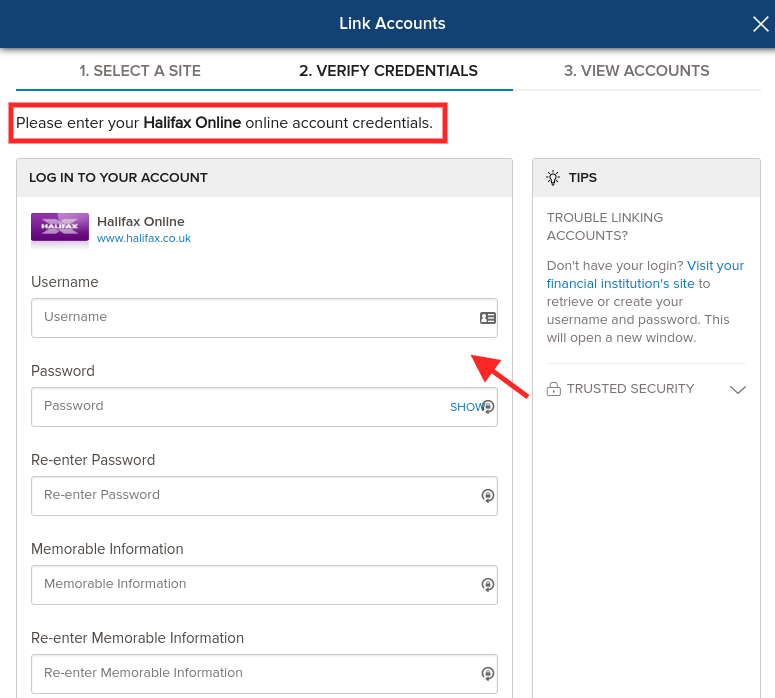 If you have a Halifax account, there are two ways of giving us access to this information. You can link your online banking to your iwoca account to give us read-only access to your business data, or you can upload PDF bank statements to your iwoca account. Alternatively, you can email them directly to us at support@iwoca.co.uk and we will upload them for you. Here’s a step-by-step guide for all options. 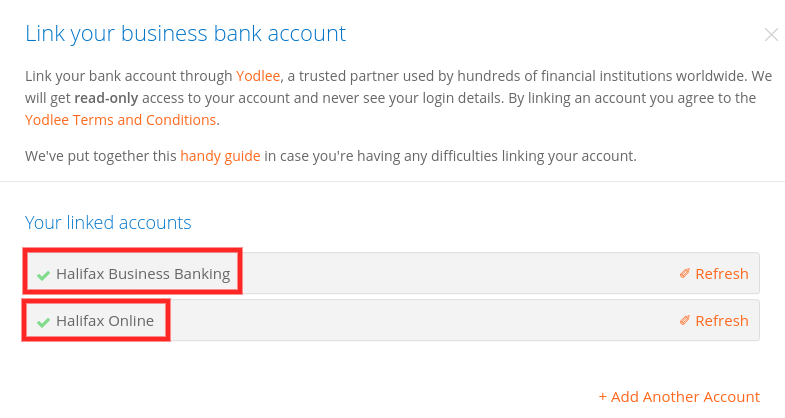 You can link you online banking in three easy steps. Get started by logging into your iwoca account and going to the ‘Business verification’ section, where you’ll find the option to link your online banking. First, you’ll need to search for the name of your bank. 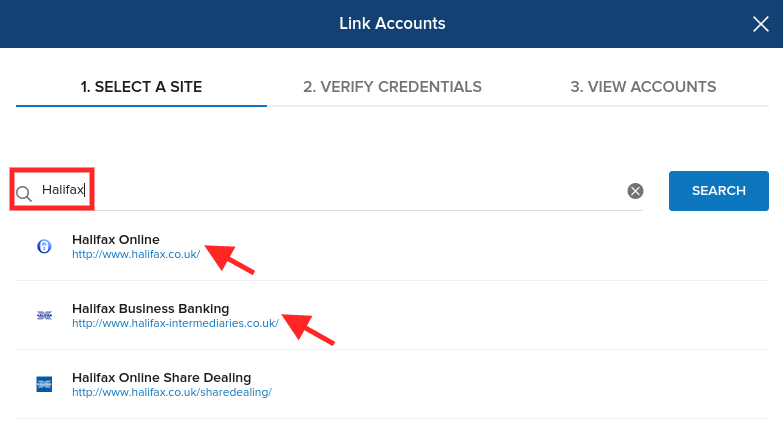 There may be multiple results for the same bank so it's important to double check you have selected the correct account type (Business/Personal/Private). Next, enter your login details for your online banking account. We do not store or have access to these details - we use a third party service provided by Yodlee, a major data-cloud service provider to global banks. Having Some Trouble? You can find more detail on a list of common issues in this article. Once you've added all of your credentials, confirm all the details are accurate and you should be good to go. Now that you've given us read-only access to your business data we'll use it to make a fast and fair decision on your application. Log into your Halifax internet banking as usual. Return to your iwoca account and upload the bank statements. You can also email them to support@iwoca.co.uk if you have any problems uploading the files. Once we’ve got the details we need, we’ll review your application and get in touch when we’ve made a decision.